ZANU-PF politburo member Tshinga Dube has urged the country's political leaders to take a cue from Kenya and engage in the aftermath of last week's deadly protests so as to find a lasting solution to the deepening socio-economic crisis. Reports say about a dozen people were killed, while around 172 were injured and over 800 rounded up by members of the security forces in protests over a spike in the cost of living and fuel price hike. Dube, a former Defence and War Veterans minister, said Zimbabwe stands to benefit a lot if the country's political leaders - particularly Zanu-PF's Emmerson Mnangagwa and MDC's Nelson Chamisa - take a cue from Kenya and dialogue "without pride and prejudice". "Some of these problems have been recurring. They did not start with the new dispensation. They have been there from the last regime. All we have to do is to work as hard as possible to resolve them amicably. I think the best thing we have to do is to sit down as the country's leaders and talk to each other without any pride or prejudice," Tshinga, a former Makokoba constituency legislator, told Southern Eye. "When you are running a country, all of us who are running this country, we are not owners of this country. Anyone can do our job, but we must think of the people first. Now, we hear that 12 people have been shot dead and that is a result of failure to solve our problems." Several organisations and churches have called for dialogue between Mnangagwa and Chamisa to end the political logjam and find solutions to the biting socio-economic crisis. 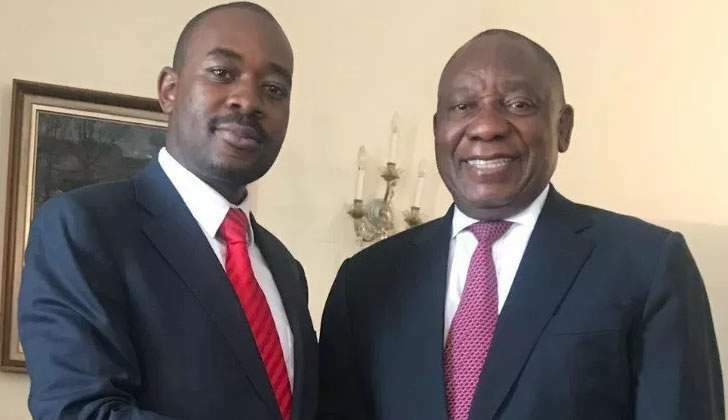 While Zanu-PF has issued different statements on the issue, Chamisa recently said he had tried some avenues for dialogue without success, and the Zimbabwe Council of Churches (ZCC) offered to broker the talks. "In Kenya, the two parties were at serious loggerheads…thousands of people died (in Kenya), what for? They found out that it was not necessary to have all these people die for their sake. They sat down and today, they sit together to solve problems of their country. They are now like brothers," Dube said. "It would be a very good solution if we convinced the leaders of both parties to have a dialogue. But I know there are people who think taking hard-line positions means you are a great revolutionary. It is not necessary." The National Peace and Reconciliation Commission, in a statement last week, also reiterated calls for national dialogue to address the "situation in our country and foster peace and development".